My first go at this challenge. The sketch was great to work with especially with the help of the fabulous DT works of art. Go here to have a look for yourselves! Will definitely be taking part in this one again. Basic Grey Challenge 31 - Paper Piecing! 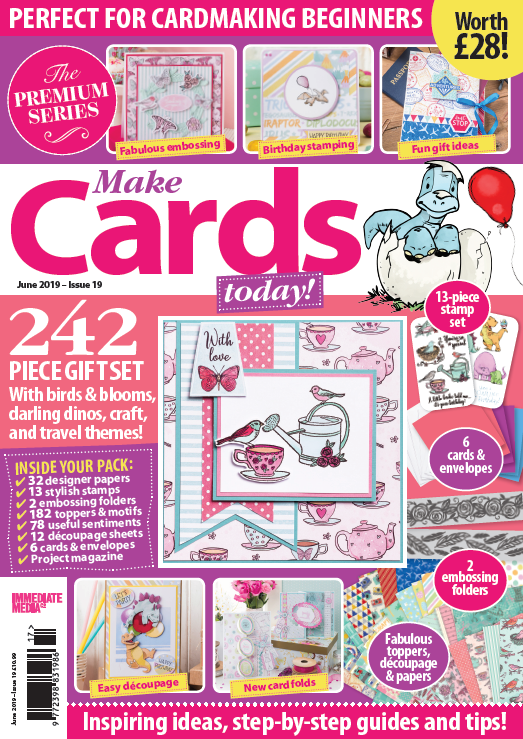 The Basic Grey challenge this week is 'Paper Piecing!'. 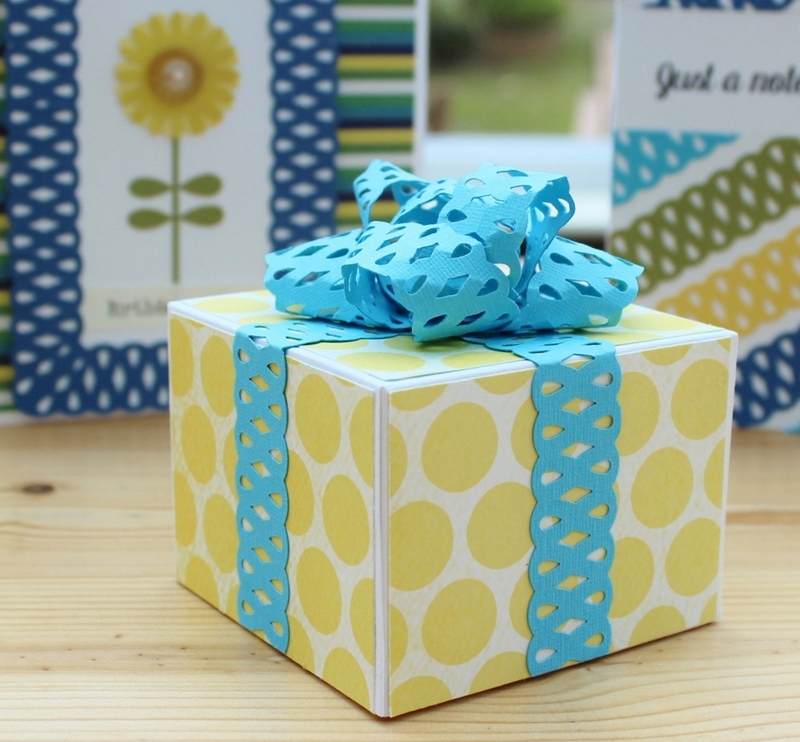 I used a tulip paper piecing pattern from here. The sentiment is wishful thinking on my part as I planted some tulip bulbs exactly this colour and I'm hoping they will 'bloom' this spring, and aren't ravaged by the squirrels like last year! The papers are Euphoria. 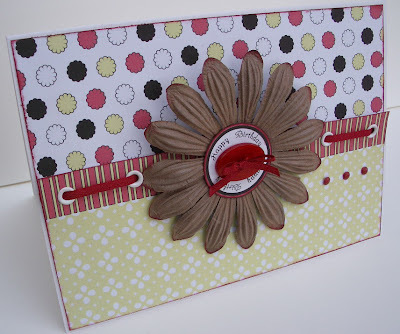 I've also used Cuttlebug swiss dots embossing folder and a sizzix die. 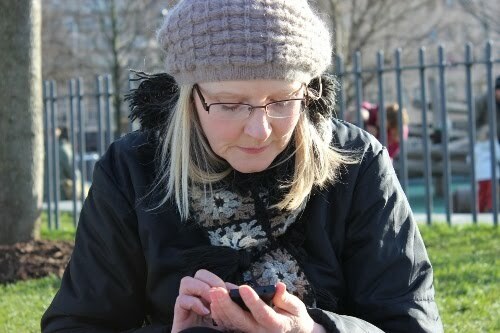 The colour combo this week on colour create is choc coffee and cream and the extra detail is distressing. Struggled with the colours at first but then remembered my Pink Petticoat downloads had just the right shades! 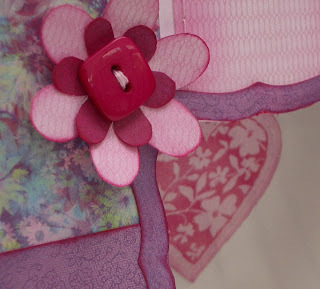 Also used sizzix 'bloom' die, cuttlebug mesh embossing folder some acetate and of course some hand stitching. Out of my comfort zone with the colour palette but thoroughly enjoyed it! The dare this week on DCM is Hide and Seek , so include a hidden message, element or both! 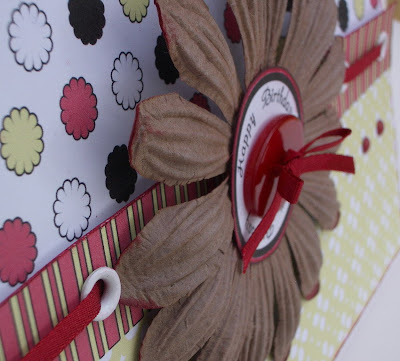 I've made a pocket card using papers from here, great paper that looks like fabric. I've made a wedding anniversary card inspired by one! of my favourite chocolate soft centres - coconut! The colour combination over on Colour Create Challenge blog is duck egg blue and rose and this week's extra option is stitching - faux or real! Well, as duck egg blue is one of my favourite colours and stitching my fave embellishment I just had to have a go.. I've been so inspired by DT member Sarita's blog and my recently purchased Urban Lily stamps that I've used this challenge to try some rubber stamping and I'm quite happy with the result. 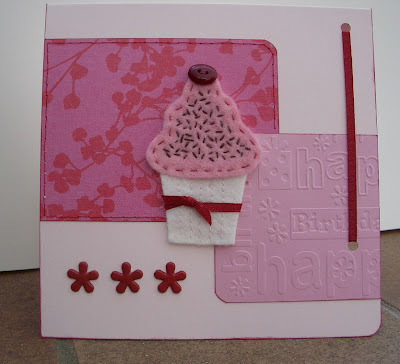 "to put a piece of fruit on your card"
I think I may be stretching it bit but that is a cherry on top of the cupcake! The paper is K & Co Amy Butler Belle. The felt cupcake I made using a template courtesy of paper and string. 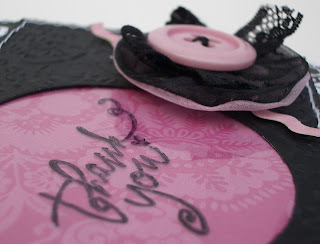 I found the link to it on The Crafty Blogger, thanks Ruthie! 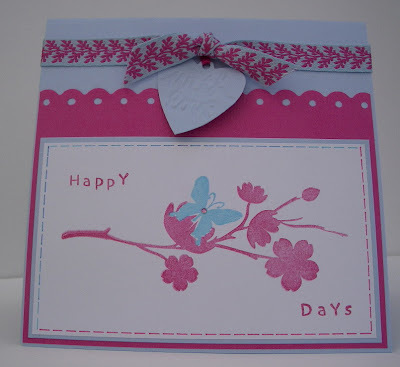 The Basic Grey challenge this week is to create a card with a Spring/Easter theme, check out the DT cards they're stunning. my own hand made topper! These are things I wouldn't have contemplated a few months back, and you know what I 'm more than pleased with the result! The bird was made from felt using a template I made from a clip art image. 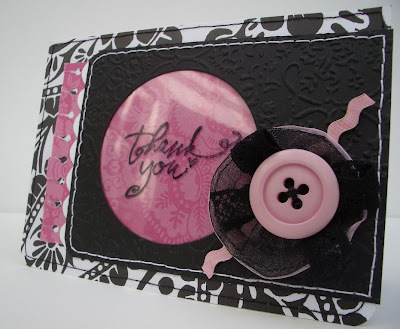 The flower was made with a cuttlebug die. 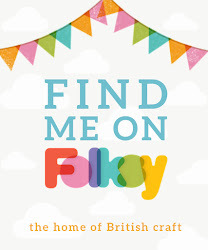 Been catching up on housework this week :( so not much time for crafting but made time for this one - another great sketch over at Raspberry Ribbons, can't believe it's a fortnight since the last one. 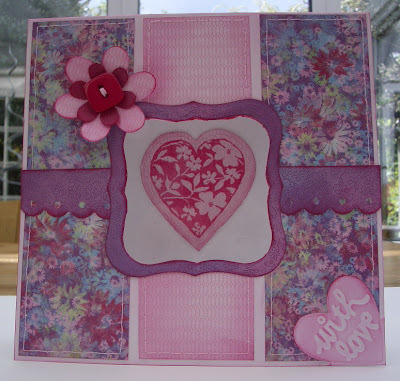 I used the free download (no longer available) from Patti Picklicious Printables range, the CD is out now and looks stunning might just have to treat myself (again)! 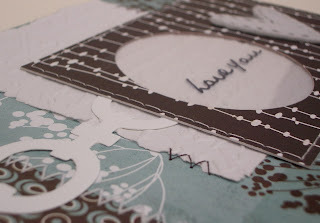 Check out the gorgeous DT cards on the blog, well worth a look.